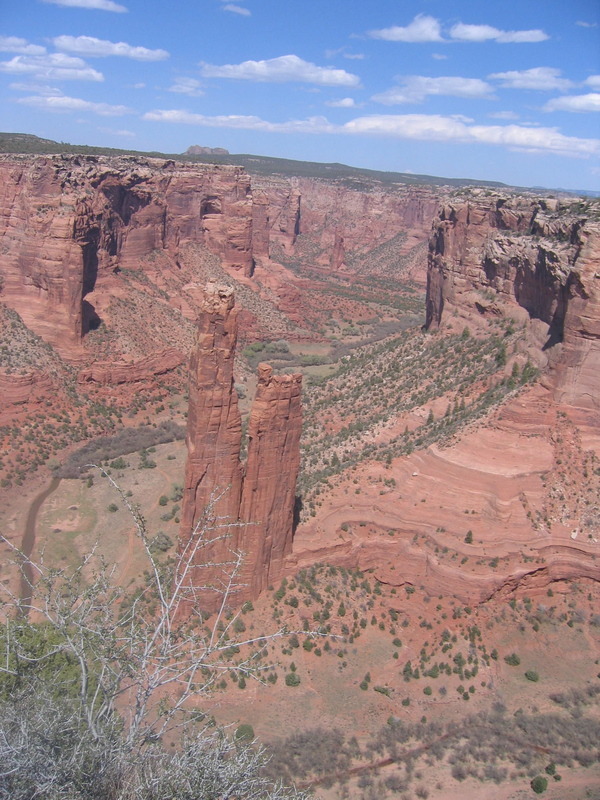 Not so long ago, in fact quite recently, I visited Canyon de Chelly in Chinle, Arizona. This beautiful sandstone canyon lies in the heart of the Navajo (Diné) Nation in northeastern Arizona. I spent two nights at the Thunderbird Lodge inside the Canyon Park. The first night I was there in the wee hours of the morning I had an interesting vivid dream or maybe an out of body experience. It took place where I was located at the time in this reality and was hyper-real. It had a bit of the conscious dreaming aspect to it. It may very well have been an out-of body experience. Black clad figures woke me and ushered me from my bed to just outside my motel room door where more black clad figures were standing, looking upward and some pointing. Their faces were also covered in coarse black material. Amazingly I was not afraid. The sky was brilliantly lit by stars, but something was odd. The stars seemed to be on cards, illustrating the constellations and there were star craft up there too. I ran back inside to awaken my fellow travellers and share this strange night sky with them, but when I did, I awoke to this reality. When I went to breakfast at the lodge’s cafeteria I was intrigued by a vault-like room in the center of the dining area that I discovered once served as a jail for the trading post that was on the lodge’s site. The room contained a gallery of Native American art from the area. My eyes gravitated to a print showing several kachinas in the process of throwing the constellations into the heavens. This print was remarkably like my dream of just a few hours earlier. I was blown away. I felt sort of welcomed to the place. I am still looking for a write up of this traditional story. The rest of my stay was interesting. We took a half day tour on the back of a very large military jeep type truck. The canyon was breathtaking. The Navajo guide was very informative. I bought a few souvenirs from vendors at the canyon. That evening a Navajo Park Ranger gave a delightful musical performance. I am so glad I went to Canyon de Chelly. Update: November 28, 2014 Kachinas visitors from another planet? Do you ever wonder why what seem to be the most important news items are virtually ignored by the major media? So do I! Here are two potentially really important scientific breakthroughs that could revolutionize our lives. Why have they been ignored? Why are they not front page news across America? The first is an algae farm that provides loads of usable energy. The second is a Japanese car that runs on water. That’s correct, just water. These discoveries could make us energy independent. Don’t let them die like the electric car. Thanks to my friends who alerted me to this, especially Superior Bill!